¡Hola, chico! And howdy, pardner! When we talk about Mexican cuisine across the world, and certainly in Malaysia, we think of nachos and tacos and burritos, chilli con carne and guacamole. But actually, these are mainstays of Tex-Mex cuisine, a specific type of Northern Mexican cuisine that has been heavily influenced by ingredients and cooking styles from the United States, especially Texas. Tex-Mex cuisine has its origins in the Tejano culture, Tejanos being Texans of Spanish or Mexican origin. Very much like other forms of Mexican cuisine, Tex-Mex strongly features corn (maize) and products made from corn. Nachos, for instance, are corn chips, and tacos are corn tortillas (flatbreads) folded around some filling. South America didn’t cultivate wheat before the Europeans arrived, so corn is one of their staple foods. Mexico having been a Spanish colony, it has Mediterranean influences on its cuisine, especially the use of tomatoes; this is true for Tex-Mex food as well. But where Mexican food, similar to most Far East/Asian cuisines, is heavily pork- and chicken-centric, Tex-Mex makes greater use of beef. This is because Texas is famous for its cattle ranches. Tex-Mex cuisine also makes great use of cumin, a spice from the Mediterranean and North Asian regions. Just as Mexican cuisine is more diverse than just Tex-Mex cuisine, food from the Far East (Asian food from places like China, Japan, Korea and Southeast Asia) is a combination of various cultures, peoples, and even religious influences. There are similarities between Tex-Mex and Far Eastern cuisines; for instance, the use of chilli and cumin is common to both Tex-Mex and Indian cuisines, as are flatbreads (tortillas in Tex-Mex, naan in Indian). Rice and beans are also common to all the cuisines. However, because of the sheer size of the Far East, and the number of cultures there, there are also many differences between the two cuisines, and also between all the various Far Eastern cuisines. 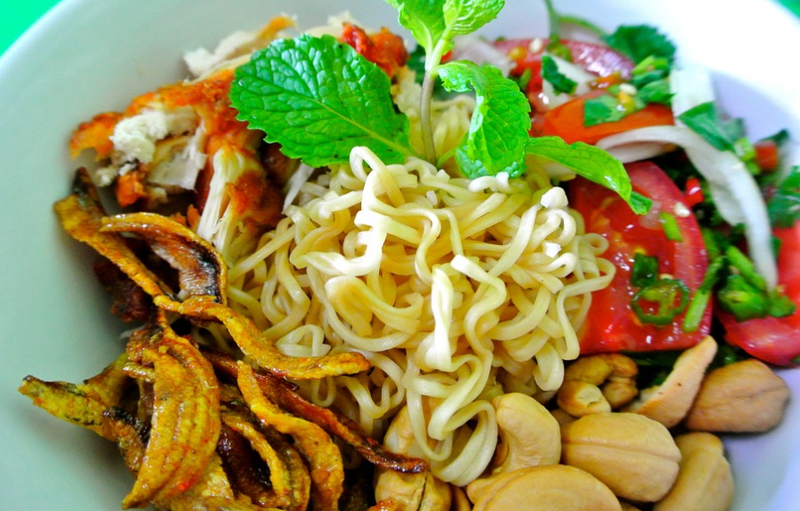 Thai cuisine, for instance, is influenced by China (in central Thailand) and Malay food (in southern Thailand). Both Japanese and South Korean foods tend towards the healthful, emphasising seafood, while having their own versions of the barbecue. Korean cuisines also typically have rice and many banchan (side dishes) in small quantities. Indian cuisines focus on mainly vegetarian dishes. Chinese cuisines may feature stranger meats such as dog, turtle and snake. And hoo boy, Chinese cuisines merit an article all to themselves. GoBear Malaysia likes Far East/Asian cuisines; we’re not a restaurant-comparison website, but we do publish the occasional food post. Still comparing? Order them both right to your door step easy-peasy with foodpanda. Remember to have the right credit card! Whether discounts or cashback for online purchases, compare credit card offerings in seconds at GoBear Malaysia. Besides attractive weekly vouchers to be won, GoBear Malaysia can’t wait to reward the biggest eater with a RM3,000.00 travel voucher to Japan! Now isn’t that food for thought?